Considering that everything we do these days is online, is it really necessary to have a local insurance agent? The honest answer is no, it’s not necessary. But life jackets aren’t necessary either, but you’ll sure be glad you have them if the boat starts sinking. Having an insurance agent in town that you can call at a moment’s notice for any questions you may have can make all the difference when it comes time to update your policy or file a claim. 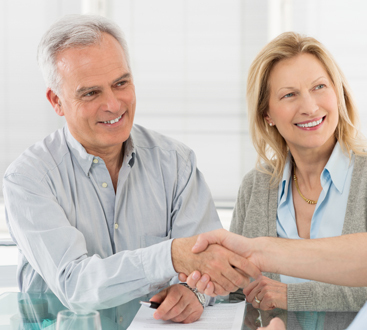 In today’s blog, we’re going to go over five important reasons to work with a local insurance agent. If you found this page because you’re looking for a local Allstate insurance agent in Houston, Sugar Land, or the surrounding areas, we’ve got you. J. Thomas & Associates is your choice Allstate insurance agency in the area, and we’re here to serve you. Be sure to check out what we can do for you below, and get a free insurance quote before you leave! You’ll Have A Familiar Face And Voice – Like we mentioned above, so much of what you can do these days is online. However, sometimes you just want to speak with a real person about stressful issues like billing and policy claims — and not one that you have to wait an hour on hold to speak with after following an absurd amount of voice prompts. If you’re having an issue with your insurance policy, call us and we’ll get it resolved as quickly as possible, so you don’t have to wait around wondering if a payment went through or if your policy covers hail damage. We Can Answer Your Questions – At the end of the day, insurance is complicated, which is why in a modern world people still want the peace of mind of working with a real human being who can explain their policy and answer questions. So much of insurance depends on your personal situation, what you can afford now, and what you can afford later. Let’s say two 30-year-old people both drive identical 2015 Toyota Camry’s with the same amount of mileage and a spotless driving record. They both depend on their car to get to work every day, and would be in big trouble if they found themselves without their trustworthy Camry. If one person is living paycheck-to-paycheck, and the other has an abundant savings account, it’s going to affect what their premiums and deductibles should be. A computer might not be able to detect this, but an Allstate agent can and we can answer questions about what type of policy coverage you might need. We Can Get The Best Insurance Policy For You – Sure, we provide Allstate insurance in Houston and the surrounding areas, but that doesn’t mean your policy will be exactly the same if you get your Allstate insurance online rather than using a local agency. Most big insurance companies allow you to buy insurance online by filling out a questionnaire about your needs and providing you with a quote. At a local agency, we can sit down in person or talk over the phone and have a real conversation, allowing us to find more ways to save you money and create the perfectly tailored insurance policy. We can talk it out and help you weigh the pros and cons of different decisions, and you can count on us to always work in your best interest. A Local Insurance Agent Knows The Area And Associated Risks – A person buying a policy completely online in Northern California will probably want earthquake coverage, but they have little need for hurricane coverage. On the other hand, we have just recently seen the immense amount of damage that can be caused by hurricanes here in Houston, so we can ensure that your home insurance policy covers flood and wind damage so you’re not left having to pay $150,000 or more out of pocket just to put a roof over your head. We also know the local driving conditions and can adjust your policy to fit your needs. We can recommend local auto body shops or home contractors that we work with regularly if you are ever in need of repairs. You Will Feel Like A Real Person – Your insurance agent works for you, and that means here at J. Thomas & Associates, we work hard to keep our clients happy so we can build a lasting relationship with them. If you are working with one of the big insurance companies without an assigned agent, you can sometimes feel like a little fish in a big pond. 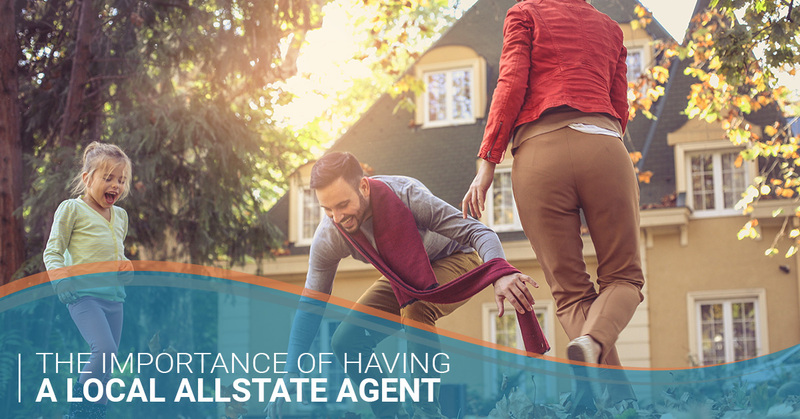 With a local Allstate agent, you always know we’re going to do everything we can to meet your needs. We know your name, not just your policy number. Want To Be In Good Hands? We’ve Got Your Back! You’ve seen the commercials, you know that with Allstate, you really are in good hands. We stand by that claim at J. Thomas & Associates and would love to prove it to you. Get in touch with our insurance agency today to speak with one of our local representatives. We can look at your current insurance policy and find you new ways to bundle and save. Request a free insurance quote today!